Construction Summit 2018, an event celebrated for the second time, hosted by Mercado Media Network, clustering the most prestigious companies within the field of engineering and architecture, hence showcasing all their contributions to the construction and development sector. 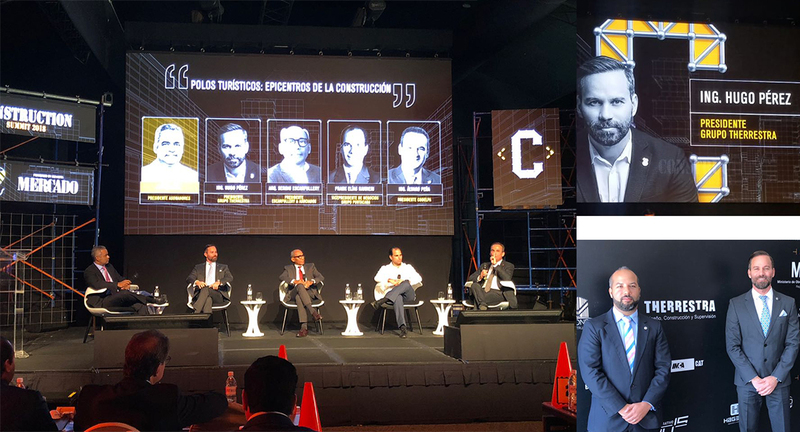 “Polos turísticos: epicentros de la construcción”), featuring words by Therrestra CEO Hugo Pérez Ovalles; some of the topics discussed included the importance of recreational and cultural facilities in new urban developments. 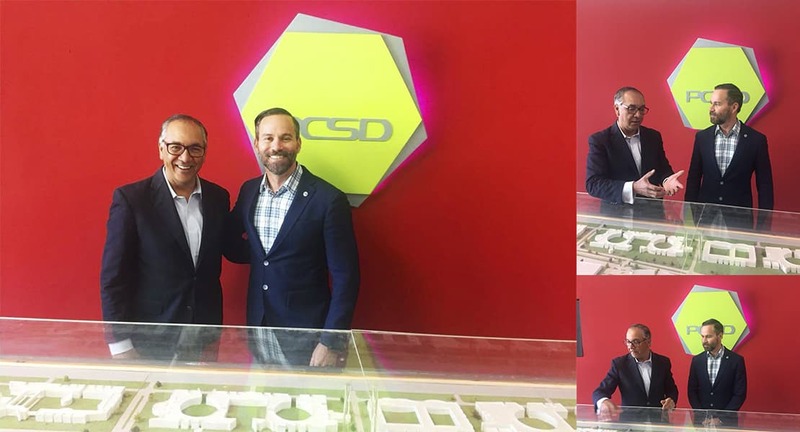 The 2018 Construction Summit, which was hosted in the Garden Tent of the Hotel El Embajador, featured the presence of two renowned international guests: Architects Jorge Mario Jáuregui and Erick Van Egeraat. Construction company founded in 2004, with the sole objective to provide civil work construction services. Specialized in design, development and oversight of tourist, residential and commercial projects in the Dominican Republic and in the Caribbean. Therrestra creates 4,000 employment opportunities region-wide. 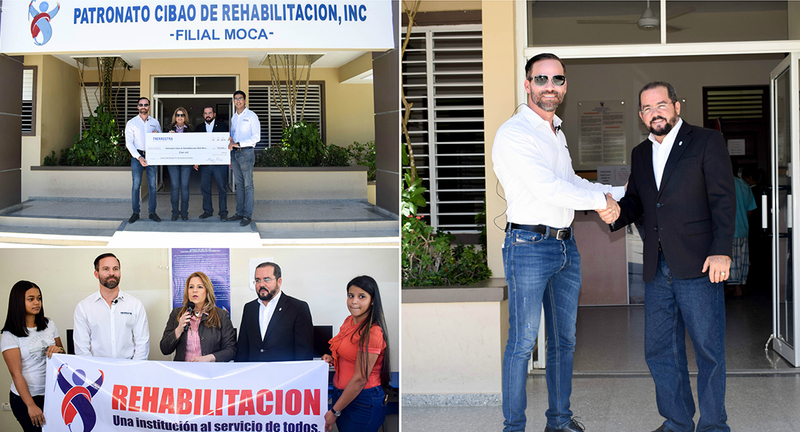 Aiming to continue building towards a sustainable future and development for Moca, Therrestra CEO, Hugo Pérez Ovalles, issued a significant donation to the Moca Rehabilitation Center, hence ensuring the continuity of its services to all the population of the Espaillat province. Amid delivering to the Chairman of the Patronato de Moca, Mr. José Collado expressed his sincere thanks on his behalf and on behalf of his staff, for the donations made by Therrestra, which benefit so many people within the institution. Likewise, among the attendees was the Deputy Mayor of Moca, Judith Valdez, whom underwrote a social impact partnership agreement alongside Grupo Therrestra. Construction company founded in 2004, with the sole objective to provide civil work construction services. Specialized in design, development and oversight of tourist, residential and commercial projects in the Dominican Republic and in the Caribbean, PRODUCING 4,000 employment opportunities region-wide. Social outreach project in Moca, in the Espaillat province, will receive sponsorship for their long-term development. 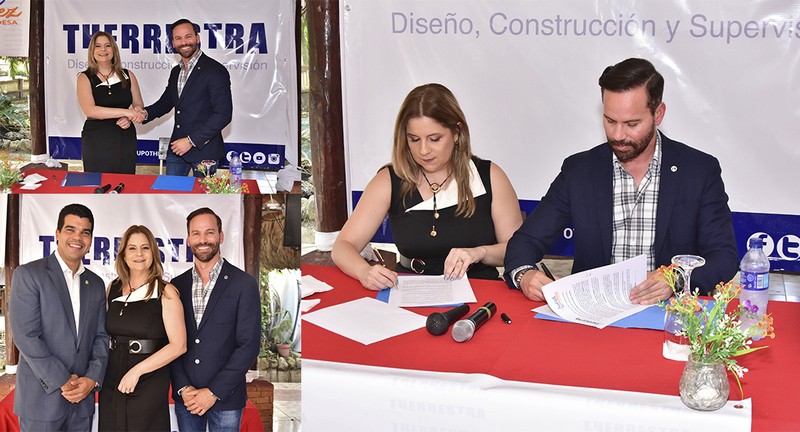 The Therrestra CEO, reached an agreement with Moca deputy mayor Judith Valdez, to work together on those outreach programs that cause positive impact over the most vulnerable segments of the population. “I was born and raised in Moca, and its development and wellbeing has always been something close to my heart; hence why my interest in cooperating with an CSR program”, Mr. Pérez clearly stated. The company will prioritize on those programs aimed towards early childhood and youth. “We are deeply thankful to Therrestra for wishing to work together, promoting programs and projects, aimed specifically to early childhood, youth outreach, and community leadership”, Mayor Valdez said. The programs developed by “NJ Productora” (*NJ Productions) will serve as medium to give visibility to these community efforts in Moca. Construction company founded in 2004, with the sole aim to offer civil work construction services. Specialized in the design, development and oversight of tourist, residential and commercial projects in the Dominican Republic and the Caribbean, creating 4,000 direct employment opportunities all throughout the region. [MB1]Beatriz: Aquí falta un texto. Necesito me lo hagas llegar para traducirlo. De lo contrario la nota sale incompleta.